2. However for Domestic Companies having total turnover or gross receipts not exceeding Rs 250 crores in Financial year 2016-17 shall be liable to pay tax at 25% as against present ceiling of Rs 50 crore in Financial year 2015-16. 6. Standard Deduction of Rs 40,000 for salaried employees. However benefit of transport allowance of Rs 19,200 and Medical Reimbursement of Rs 15,000 under Section 17(2) are being withdrawn. Thus net benefit to salaries class only Rs 5,800. 7. Limit of Deduction for Health insurance , Specified diseases , Interest on saving has been increased (80D, 80DDB and 80TTB) and TDS under 194A for senior citizens. 8. Provision of Section 43CA, 50C and 56(2) (x) being amended to allow 5% of sale consideration in variation Vis a Vis stamp duty value. On account of location, disadvantage etc. 9. Provision of section 40(IA) and 40A (3) and 40A (3A) are being made applicable to Charitable Trust. Hence expenditure incurred without deduction of tax and in cash will not be eligible as application of income under section 10(23C) and section 11(1) (a). 10. Income Computation and Disclosure Standards (ICDS) being given statutory backing in view of decision of Delhi High Court decision. 14. Valuation of Inventory including Securities to be as per ICDS. 17 54EC benefit of investment in Bonds to be restricted to Capital gain on land and building only. Further period of holding being increased from 3 years to 5 years. 18. PAN to be obtained by all entities including HUF other than individuals in case aggregate of financial transaction in a year is Rs 2, 50,000 or more. All directors, partners, members of such entities also to obtain PAN. 22. 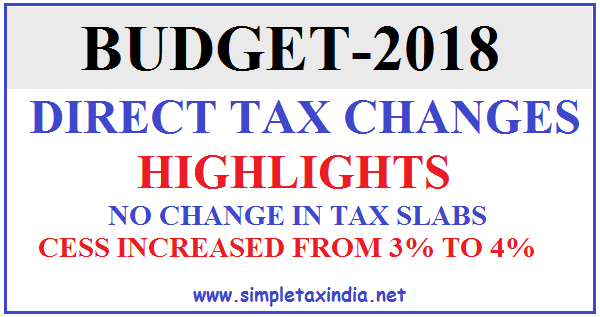 Deemed dividend to be taxed in the hands of the company itself as Dividend Distribution of tax @ 30%. 23. Penalty for non filing financial return as required under section 285BA being increased to Rs 500 per day. 24. 9. Agriculture Commodity Derivative income /loss also not to be considered as speculative under section 43(5). WORST BUDGET OF WORST FINANCE MINISTER IN THE HISTORY OF INDIA.WORST BUDGET OF WORST FINANCE MINISTER IN THE HISTORY OF INDIA.WORST BUDGET OF WORST FINANCE MINISTER IN THE HISTORY OF INDIA.WORST BUDGET OF WORST FINANCE MINISTER IN THE HISTORY OF INDIA.WORST BUDGET OF WORST FINANCE MINISTER IN THE HISTORY OF INDIA.WORST BUDGET OF WORST FINANCE MINISTER IN THE HISTORY OF INDIA.WORST BUDGET OF WORST FINANCE MINISTER IN THE HISTORY OF INDIA.WORST BUDGET OF WORST FINANCE MINISTER IN THE HISTORY OF INDIA.WORST BUDGET OF WORST FINANCE MINISTER IN THE HISTORY OF INDIA.WORST BUDGET OF WORST FINANCE MINISTER IN THE HISTORY OF INDIA.WORST BUDGET OF WORST FINANCE MINISTER IN THE HISTORY OF INDIA.WORST BUDGET OF WORST FINANCE MINISTER IN THE HISTORY OF INDIA.WORST BUDGET OF WORST FINANCE MINISTER IN THE HISTORY OF INDIA.WORST BUDGET OF WORST FINANCE MINISTER IN THE HISTORY OF INDIA.WORST BUDGET OF WORST FINANCE MINISTER IN THE HISTORY OF INDIA.WORST BUDGET OF WORST FINANCE MINISTER IN THE HISTORY OF INDIA.WORST BUDGET OF WORST FINANCE MINISTER IN THE HISTORY OF INDIA.WORST BUDGET OF WORST FINANCE MINISTER IN THE HISTORY OF INDIA.WORST BUDGET OF WORST FINANCE MINISTER IN THE HISTORY OF INDIA.